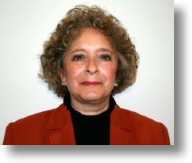 Dr. Deborah Shatin is a highly experienced researcher known for her contributions to medical therapy safety and health research over more than 25 years. Her work has ranged from studying medical device and pharmaceutical therapies to assessing managed care protocols for the commercial payer market. As a senior clinical and health services researcher, Dr. Shatin is widely experienced in designing and conducting prospective medical device clinical trials and retrospective post market drug and biologic safety surveillance studies using managed care claims data. Her work has included coordinating multiple investigator and health plan sites, and securing more than $5 million in research grant funding. Dr. Shatin has served as Industry Representative to an FDA device review panel, a member of the CMS Medicare Coverage Advisory Committee (now MEDCAC), and a consultant to the FDA Drug Safety and Risk Management Committee. Clients of Shatin Associates range from start-up firms to Fortune 100 companies. For a copy of Dr. Shatin's Curriculum Vitae, please click here.